A Tulsa (OK) police officer and a suspect were wounded in an officer-involved shooting Tuesday afternoon. 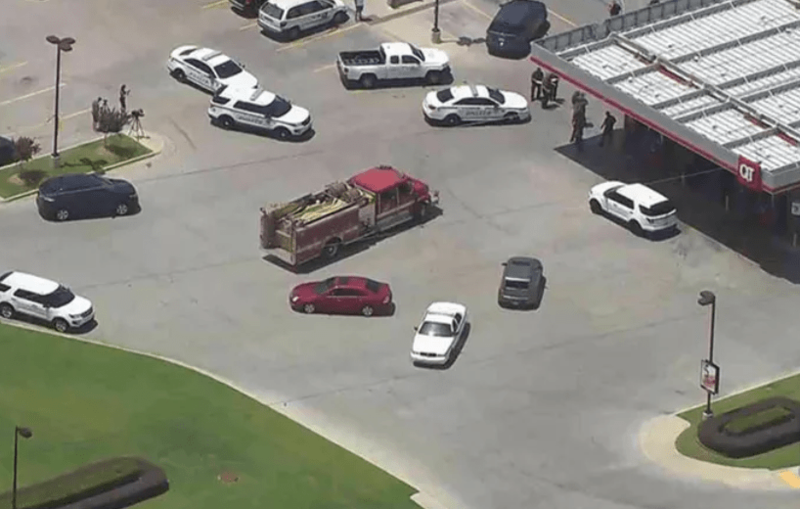 The shooting took place near the QuikTrip at Interstate 44 and Harvard around 1:40 p.m.
Police say officers approached a man in a gold minivan and asked him to get out of the van. They say he told them, “You’re going to have to kill me to get me out of this vehicle.” Sources say the officers backed up and prepared to fire pepper balls when the suspect pulled out a gun and fired. News on 6 reports that one gang officer fired a gun, but the officer that was hit didn’t have time to retrieve their weapon and was still holding the pepper ball gun. That officer was shot in the leg. The suspect was hit in the chest. Both were taken to the hospital. The Tulsa Police officer was expected to be ok and the suspect was listed in critical condition.